As of today, there are exactly thirty two days until T-Day. One month and two days. (You’d think I have a countdown going or something?). This event that has been consuming brain space since November is suddenly becoming very, very real. With the triathlon getting closer and closer- I have been a little training machine. I bike, I swim, I run- sometimes all in the same day. My legs are getting pretty used to brick workouts, I’ve gotten over my fear of cars while riding my bike (I still can’t take my eyes off the road but baby steps here), and even my swimming has gotten stronger. The first night that I swam 28 laps without stopping I finished and immediately hugged my friend shrieking. Maybe there’s a light at the end of the tunnel after all. And then- I had a bad swim workout. Terrible in fact. The pool was at max capacity, and therefore the water was choppier than a whale watch during a hurricane. I couldn’t go more than a lap without swallowing a mouthful of pool, my nose was burning, and I had to keep picking up my head and therefore disrupting my groove. For anyone just looking to get in a few laps for exercise you could blow it off and move on with your life. Except that on July 21st I will not be in a clear, calm lane of a pool. I will be in the middle of a lake that I cannot even pronounce, with god knows how many other women all trying to get to the same place I am. There’s going to be feet in my face, water up my nose (And it won’t even be chlorinated-EW), and no ends of the pool to latch onto for support. So not only was it a bad night at the pool- but a reality that I have to face pretty damn soon. 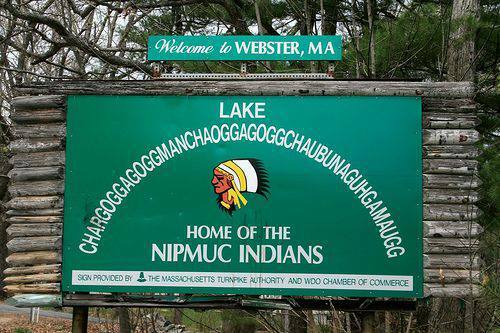 Personally- if you can’t pronounce it- you probably shouldn’t be swimming in it. I held back my tears until I got in the car. The “What the HELL made you think you can do this?” feeling immediately came flooding back, and the “What-Ifs” started up. What if I panic in the middle of the lake? What if I get tired and can’t keep going? What if I can’t adjust to swimming in open water after being in the pool for so many months? I don’t know if it was what had happened in the pool, or the reality that the day is approaching so quickly, but the more I started questioning everything, the more and more I started to panic. After talking things out with the two people who calm me down most, I took a hot shower and pretty much fell asleep instantly. I didn’t wake up until my alarm went off the next morning, and groggily threw on my workout clothes and headed out on the bike. The last thing I really wanted to do was anything triathlon related. I may have had a bad swim workout- but I think the sweat on my shirt from my brick the next morning made up for it. Since I can’t use my headphones on the bike it’s a good time to think. And it seems that whenever I’m running, biking, or swimming these days, all I do is think about the upcoming day -so it was only natural that was where my brain went. As scary as this all is, I’ve got to spend the next month training myself mentally as much as I have been physically. If my brain can’t get over the fear- how is my body ever going to be able to handle the physical challenge of it all? Scary isn’t always a bad thing, for scary means that you are pushing yourself to try something new. 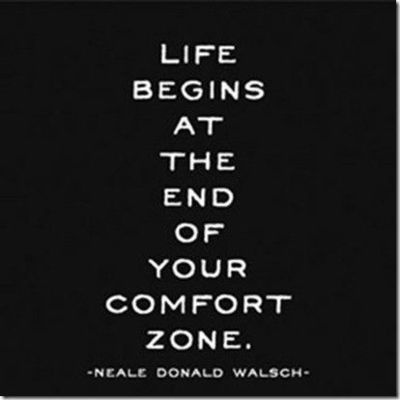 Scary means you are stepping outside your comfort zone. Scary means that you are challenging yourself in ways you never thought possible. Scary means that you are learning. Scary means that you are growing as a person. Scary means that you are doing something to be proud of. And if I want those things as badly as I do, I’ve got to find a way to overcome the scary. When your legs get tired run with your heart. 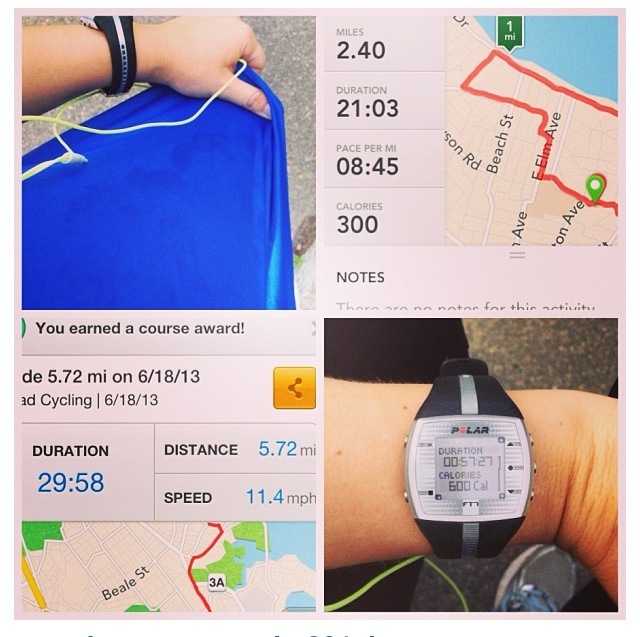 Posted on June 19, 2013, in Uncategorized and tagged biking, brick workout, fears, goals, swimming, training, triathlon. Bookmark the permalink. 8 Comments. I’ve never seen that before- but I can assure you its on my blog list now… thank you! Kathleen, you can do this! Look how far you’ve come every single day. You are amazing and are going to do FANTASTIC! No doubt about it. We’ll all be cheering you on in a month and 2 days. Keep up the great work! I’ve been running with a friend for 6 months or so and am pretty much in love with road running… She has talked me into a trail run next month and our training is hard… I’m not looking forward to it very much but because I am scared too! I know at the end that feeling of accomplishment will be amazing but it’s sure hard working yourself up for it! You can do it.. You’ve been training hard. Good luck! That’s awesome! I don’t think I have the attention span for trail running- I’d probably go off into my own world and hurl myself across a tree trunk or something. I always tell myself the scarier something is to me- the sweeter the end result will be. Also having a buddy by your side makes it a lot less scary too 🙂 Good luck with your trail run! Doing something “scary” is hard. But it isn’t scary. Everyone is behind you! It is so much more mental than anything else. You can do each thing, so focus on that. There is so much energy and excitement in finishing one thing and starting the next that you don’t even have time to think of it as being “scary” anymore! Run the mile you’re in. 5 years of lime green love.